Protocol endorsed by the President of the Family Division. Full story: Family Law Week. This guidance has been produced to assist judges in the Family Court to resolve mental capacity issues concerning parties to family law proceedings. Full story: Courts and Tribunals Judiciary. The FJC has now published the second edition of this useful guide for the family judiciary, courts and legal advisers. Full story: Courts and Tribunals Judiciary. Nuffield Foundation says outdated law needs a no-fault divorce option. Full story: The Guardian. HM The Queen has approved the appointment of The Rt Hon Sir Andrew McFarlane as the President of the Family Division. Full story: Prime Minister's Office, 10 Downing Street. On 23 April 2018 the President of the Family Division, Sir James Munby, issued interim guidance in respect of defective divorce petitions/decrees. Full story: Family Law Week. Appeal by mother against order that child should live with his father, who lives in Canada, and spend holidays with his mother, who lives in England. Full report: Bailii. The wife was seeking to enforce financial provision orders totalling over £450million in a case where the husband had taken elaborate steps to conceal his wealth and evade enforcement of the judgment. Full report and press summary: Courts and Tribunals Judiciary, via Family Law Hub. Resolution deprecates use of the term “meal ticket for life” - But will it make any difference? New Resolution Chair promises to keep on campaigning - But (again) will it make any difference? Prenuptial protects husband’s pre-marital wealth but does not meet wife’s needs - The case KA v MA (Prenuptial Agreement: Needs). Lady Hale gives her thoughts on family law reforms - Lady Hale's speech to the Resolution annual conference. As I've explained here previously, I don't have time these days to do full book reviews, so this will be short. Still, that is not such a problem, as At A Glance must surely already be well known to pretty well all family lawyers, most of whom no doubt already have at least one previous edition in their library. For those few who are not familiar with it, here is my previous description: "At A Glance is an annual publication, comprising a number of tables which contain, as the subtitle says, essential information for financial remedies practitioners, ranging from interest rates, to Duxbury calculations, to statutory materials, and much more. The book is A4 sized and of modest length, making it easy to slip into the briefcase on the way to court." This year's edition is of course fully updated. Unusually, there are no new tables this year, but the blurb on the back intriguingly tells us: "New this year - Winds of Change". If you want to find out what that is about, you will have to purchase a copy from Class Legal, here. Two reports published for consultation covering the legal issues of pensions on divorce and the use of valuation and experts. Full story: Family Law Hub. The government’s long-awaited review into its controversial legal aid reforms is unlikely to be published this year, the Ministry of Justice has suggested - despite lord chancellor David Gauke stressing that he does not want the review to slip into 2019. Full story: Law Society Gazette. A university graduate is believed to be the first woman convicted under new domestic abuse laws after scalding her boyfriend with boiling water, stabbing him and keeping food from him. Full story: The Telegraph. Court of Appeal judges have rejected an bid by the parents of terminally ill toddler Alfie Evans to overturn a decision over who has control of his life support. Full story: BBC News. See reports, below. Application by wife for financial remedies, and cross-application by husband seeking an order reflecting the terms of a prenuptial agreement. Full report: Bailii. Judgment endorsing care plan constructed by NHS Trust, setting out the provisions for the end of child's life. Full report: Bailii. Judgment in Inheritance act claim, dealing with preliminary issue of whether the deceased was domiciled in England at the date of his death. Full report: Bailii. Appeal by husband against orders made in financial remedy proceedings, in which the judge had declined to re-open findings made against the husband, after the husband had produced new evidence. Appeal dismissed. Full report: Bailii. Application by the Queen's Proctor to dismiss a divorce petition and set aside a decree of divorce. Full report: Bailii. Appeal by parents against order declaring that it would be lawful for artificial ventilation, which is currently being provided to child, to be withdrawn at the date and time specified in the order. Full report: Bailii. Applications by mother for permission to appeal against a finding of fact in private law proceedings and, in care proceedings, against refusal to admit expert evidence and to re-open fact-finding hearing. Full report: Bailii. There is an inbuilt ‘resistance’ in our legal system to separating couples having an informed liberty to manage their own affairs, says a leading family charity. Jane Robey, CEO of National Family Mediation, says couples need to be trusted to shape their own futures unfettered by jargon, so-called legal expertise, and outdated divorce laws. In a new article focusing on the need to modernise divorce legislation, she says: “Getting a divorce should be far, far simpler than it currently is. She says that from a family mediator’s perspective “the huge majority of people going through private law proceedings find it over-complicated and much too time-consuming. It feels like that’s an inbuilt and endemic characteristic of the system. “Those who come to mediation quickly realise they are perfectly capable of managing the process themselves. Yet it feels like there is a resistance in our legal system to people having an informed liberty to manage their own affairs, to being trusted to shape their own futures unfettered by jargon and so-called legal expertise. “Our expert mediators play an important role, working with both parents, recognising they play an equal part in future arrangements over parenting, money and property – often helping them successfully move from being warring exes to equal players in a post-divorce ‘business relationship’. Not for the first time, the President of the Family Division made waves last month when, in a wide-ranging speech, he argued for the modernisation of a number of areas of family law. Like Sir James, National Family Mediation has long argued for the modernisation of divorce laws. Getting a divorce should be far, far simpler than it currently is. It’s much too tangled up in legal processes, acquiring a mystical quality that serves to confuse and defeat those who are, after all, undergoing the biggest crisis of their lives. Our experience tells us that the huge majority of people going through private law proceedings find it over-complicated and much too time-consuming. It feels like that’s an inbuilt and endemic characteristic of the system. As family mediators we see time and time again that those who come to mediation quickly realise they are perfectly capable of managing the process themselves. Yet it feels like there is a resistance in our legal system to people having an informed liberty to manage their own affairs, to being trusted to shape their own futures unfettered by jargon and so-called legal expertise. Our expert mediators play an important role, working with both parents, recognising they play an equal part in future arrangements over parenting, money and property – often helping them successfully move from being warring exes to equal players in a post-divorce ‘business relationship’. But the true power and ability to shape the future lies with the individuals involved, not with professionals sitting outside the process. Legal processes drain these individuals. Mediation empowers them. That’s why the numbers of separating couples attending family mediation need to be boosted. Instead, they’re falling fast. New MOJ / LAA figures this month showed the number of MIAMS in the last quarter of 2017 were down by an eighth on 2016. And mediation starts dropped by 15 per cent. Currently standing at around 1,500, these figures represent the lowest quarterly number of starts since the implementation of the LASPO Act. That’s worth reflecting on for a moment, given increasing mediation numbers was supposed to be a strategic priority for the UK government. 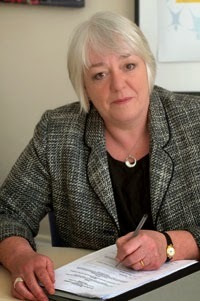 In a 2014 speech, the then-Family Justice Minister, said “What we really want to see is more people progressing on to mediation and agreeing their own way forward, resolving disputes away from court,” and outlined a number of commitments to promote the process. But it’s gone the other way. I don’t like the phrase ‘We told you so’, but we warned the Legal Aid Agency and others repeatedly in the run up to the 2014 changes that this would not be effective in increasing take-up. It would actually not be difficult, or complicated, or expensive to tackle this slump, even with our current outdated divorce laws in place. The powers exist. They need to be enforced, and Ministers should be leading the way, leading the judiciary to maximise the powers they already have. Whatever cases come before the family courts should be adjourned by the judge as part of the contact activity, to meet a mediator who will help the families affected take it from there. If it was made much easier for people to have their first appointment with a mediator, they would be in a stronger position to then make an informed choice about taking things forward, and take control of their own futures. If – and when – it finally comes, modernising divorce law will be a multi-faceted task, but honouring Ministers’ long-held commitments to family mediation must play a significant part in the process. ECJ case illustrates family law issues raised by Brexit - The case being Valcheva (Concept of ‘rights of access’ – Applicability to grandparents – Opinion). Mother wins human rights case after Chechen court grants father residence - The ECHR case Magomadova v Russia. Refusal to grant him residence did not breach father’s human rights - Another ECHR case, also involving Russia and the issue of a child’s residence, but with a very different outcome: Leonov v Russia. Definitely not how to deal with a children dispute! - A bad idea from a father, prompted by too many scare stories about the family justice system. Hundreds of family lawyers are gathering to highlight the urgent need to introduce no-fault divorce. The call for change takes place at the annual conference of Resolution, the national family justice organisation. This comes less than one month ahead of the controversial Owens v Owens hearing at the Supreme Court, where Mrs Owens is appealing the decision not to grant her a divorce. Her divorce was originally rejected because the examples of ‘unreasonable behaviour’ she provided – required under current law – were deemed not ‘unreasonable’ enough. Sir Ernest addresses the principles underpinning judicial decision-making and the evidential requirements in a changing environment. Full story: Family Law Week. Annual total of care applications falls slightly. Full story: Family Law Week. Annual rate running at 3% above previous twelve months. Full story: Family Law Week. An attempt by a divorcee to have a “meal ticket for life” backfired after a High Court Judge ruled her maintenance payments should cease after just three years. Full story: The Telegraph. See Waggott v Waggott, below. A judge has been praised for the way she has explained her decision to allow a baby boy to be adopted so that the child's father, who has a learning disability, can understand. Full story: Law Society Gazette. See Jack (A Child : care and placement orders), below. This Guidance is issued with the purpose of clarifying the legal requirements and practical arrangements for final hearings in adoption applications and adoption visits. Full story: Courts and Tribunals Judiciary. "My primary purpose in issuing this Guidance is to bring to the attention of practitioners and judges, and to commend for careful consideration and application by everyone, the very important “Good practice guidance on working with parents with a learning disability” issued by the Working Together with Parents Network and the Norah Fry Centre in September 2016." Full story: Family Law. Little change in overall number of new cases started in family courts in 2017. Full story: Family Law Week. Care proceedings. Fact-finding hearing to ascertain cause of death of child. Suggested guidance given relating to future police disclosure in cases involving a death of a child or children and/or an alleged serious assault against a child or children. Full report: Bailii. Care proceedings concerning three children, in which both the father and the mother of two of the children were convicted of offences of Modern Day Slavery. Full report: Bailii. Appeal by wife against financial remedies order, on the basis that the judge failed to award her a fair share of the husband's post-separation earned income. Appeal dismissed. Full report: Family Law Week. Appeal against care order, arguing that the process had been fatally compromised by the court's inability to produce adequately precise findings. Appeal allowed. Full report: Bailii. Judgment in care and placement proceedings, written to be understandable by parents. Full report: Bailii. Bulgarian man wins ECHR paternity case - The case Doktorov v Bulgaria. A judgment written to be understood by non-lawyers - The excellent judgment in Jack (A Child : care and placement orders). Man fails with 1959 property claim - The case Constandas v Lysandrou & Ors. Children to remain with mother despite finding that she had emotionally abused them - The case P v C & Ors. Delving a little deeper into the latest Family Court statistics - As the title says. Mother succeeds on visa point in Hague abduction appeal - The Court of Appeal decision in Re W.
A quick look at the new “fast-track” financial remedies procedure - Again, as the title says.